Indie Royale is proud to present The Debut 2 Bundle, featuring six video games which are in Steam Greenlight, offering you the chance to sample the indie stars of tomorrow, today. With Croixleur, Beast Boxing Turbo, Dawnstar, Battlepaths, Out There Somewhere and Diehard Dungeon all on offer please show your support for indie newcomers with this week’s tantalising bundle of games that deserve greater awareness than they have today. Born in the land of the rising sun, Croixleur is a frenetic hack & slash arcade action game from indie developer souvenir circ. Assume the role of Lucrezia Visconti as she battles her way through floors of brutal monsters while you work to keep the combo counter rising. With three play modes (Story, Score Attack and Survival), ten weapons to collect, each with its own special move, and 20 in-game achievements, this is the quintessential indie action game in 2013. The Steam Greenlight link for Croixleur is here. Featured in True PC Gaming's ‘Best of 2012’ and described by Rock, Paper, Shotgun as “pleasantly unhinged", Beast Boxing Turbo casts players as a human boxer trying to hide her true species as she fights her way through the animal boxing leagues of Beasthalla. To succeed you’ll need to develop a boxing rhythm, switching between attack and defence, before training your fighter up in key skills and equipping one of 35 different pieces of equipment to even the odds. Beat the Ultra League’s grand champion to unlock NewGame Plus mode for even tougher round of pixel pugilism. The Steam Greenlight link for Beast Boxing Turbo is here. Dawnstar is best described as a modern day Space Sim/RPG. Fear, desperation, and organized crime dominate the lawless galaxy sector of Dawnstar, over whose control mafia factions struggle. Cast as a hotshot pilot, you're hired bring order to the chaos. But will you fulfil your duties or exploit your position? With free-flight gameplay, near endless loot to find, over 20 story missions, an open-world environment with randomly generated side missions and co-op multiplayer for up to four friends, Dawnstar is one final frontier you’ll want to master. The Steam Greenlight link for Dawnstar is here. Create a unique hero in Battlepaths, a 2D Rogue-like RPG that boasts over 25 hours of gameplay as you hunt the Chaos Overlord. Through deep customisation you can choose to play as anything from a heavy, damage-dealing tank character to a deadly ninja that utilizes high speed and agility to attack his victims from out of nowhere. A sophisticated drop system generates innumerable items that can be equipped, while the nuanced combat system allows you to summon creatures to fight by your side as you dash through three distinct realms in search of your ultimate foe. The Steam Greenlight link for Battlepaths is here. This game is a simple platformer with puzzle and action elements. You play as an astronaut, forced to land in a strange alien planet. Low on fuel, now you need to find some way to get an alien power core and avenge your planet, defeating your arch enemy, Grigori. The main game mechanic is the clever use of a teleportation device, to move around the levels. The Steam Greenlight link for Out There Somewhere is here. Described by developer Tricktale as ‘The Legend of Zelda meets a Rogue-like’, Diehard Dungeon hurls you into the belly of a randomly generated dungeon and asks that you escape by any means necessary. With melee and ranged combat, 16 abilities to acquire, seven hulking bosses, multiple endings and a self-upgradeable companion chest which must be fed treasure to keep it happy, Diehard Dungeon is endlessly re-playable and the perfect way to round off the Debut 2 Bundle. The Steam Greenlight link for Diehard Dungeon is here. View interviews with some of the developers whose games we've have been featured in different Indie Royale bundles on our YouTube channel check in for the latest videos. You can find more information on The Spring Sun Bundle, including real-time statistics and its current price, on its official website or via itsFacebook, Twitter and Google+ pages. As ever, the bundle is cheaper the sooner that you purchase it (unless, of course, some kind purchaser opts to lower the price for others) although there is tremendous value here whatever price you pay. An analysis of Alicia and data report from the Core Worlds. v1.055 is now available, it fixes remaining item issues. Dawnstar Syndicates – Who are the Aether? The Mac version of Dawnstar is now available on Desura. What ever happened to Dawnstar and Wraith Entertainment? will sombody please tell me where to find the v1.055 update...before i rip my hair out ! sure, u just have to download the game again, and u will get the new version ... that is 5 months old ! the game is abandonned by the developpers, thats a fact. It says a lot about a game that makes you miss your $1. Lovely art design and good ideas aren't enough to save this heap of junk. The ship handling is terrible, made worse by the mouse cursor sitting in front of the screen. On top of that the sound design is laughably bad. The only noise in game is the music and the **** poor weapon sound effect for your ship. No rumbling of engines or enemy fire whizzing past you. Plus the voice acting, as bad as it is, completely disappears out of cut scenes and becomes little silent text prompts you have to read mid battle. Maybe my version is bugged, out dated? I want to love this game, I really do. Space sims are my favourite genre, and Dawnstar looks beautiful. But it's insanely unfinished to the point of being unplayable. Why did u suppresses all comments posted in May ? When the next version will be released ? Are you still working on the game ? Are you gonna change the way savegames are stored, currently the windows registry is not the better place for that. How about the invincible ennemy bug (0 life but still flying) ? We're working on an update. In regards to saves there's not much we can do about it with how Unity works. Seriously? I have a lot of Unity games that don't save to the registry. All of Arcen's games run on the Unity platform and none of them use the Windows Registry for savegames. You guys don't inspire much confidence. I was just about to buy this game on Indie Game Stand but decided to check this page first, and the level of abandonment made me totally change my mind. Same here- i think i would like this game but i'm afraid of running into issues which will not get fixed if the game is abandoned already. I`d love to see the Dev comment on this. I did buy it after all but still not seeing any Dev reply looks.... very bad. 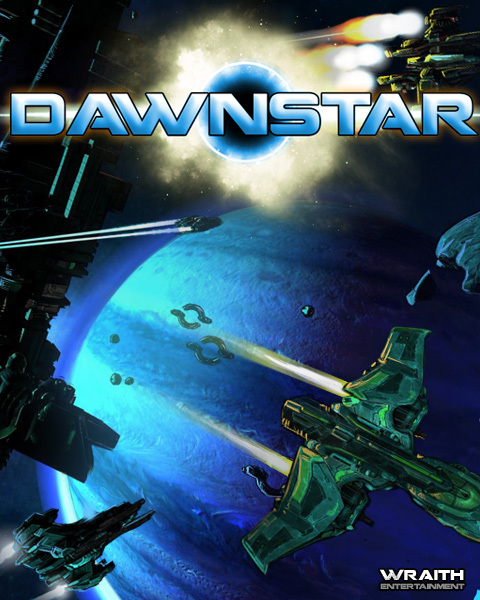 Dawnstar is 40% off on Desura: Desura.com Get it now, tell your friends, team up and blow up space pirates!!! Dawnstar is out now for the Mac at the Mac Game Store: Macgamestore.com Buy it now and play with your PC friends! 1.03 is live on Desura. We'll post again when it is up on Gamersgate. We're expecting the next patch to go live sometime today or tomorrow. It fixes sound issues and other reported bugs. We want to thank you guys for buying the game and voting for us on Steam's Greenlight!